The College of Oriental Medicine at Daejeon University conducted and published a study that shows acupuncture can reduce liver toxicity, while protecting the liver and its functions. While this study was conducted on laboratory rats, the information collected shows great promise as to how it can be used in humans. The rats were injected with an olive oil solution into the abdomen to create an injury to the liver. They were then treated using a specific acupuncture point (Gallbladder 34). The gallbladder and liver meridians are linked through an interior-exterior relationship. Blood work was monitored throughout the study and specific liver values were shown to improve as the acupuncture treatments continued, thus helping to balance the liver and keep it functioning properly. Traditional Chinese Medicine looks at the human body quite differently from Western medicine. In TCM there are energetic pathways associated with specific organs in the body. When these pathways and the energy flowing through them are out of balance the body may become diseased. In TCM, the liver and its corresponding meridian are responsible for the smooth flow of Qi (pronounced “chee”) or energy, blood and emotions. The liver is easily affected by excess stress and uncontrolled emotions. The liver is paired with the gallbladder and the two work very closely as a unit. When one is imbalanced, the other may display the symptoms. For instance, if a person is consistently stressed, this may cause the liver Qi to become blocked. When this happens, the gallbladder may become affected. It is not uncommon for people in high stress jobs to end up with gall stones. This happens because the liver becomes blocked and the emotions remain bottled up inside, which then manifests in pain and possibly stones. Anger is the emotion commonly associated with the liver and gallbladder. If a person is frequently irritable, gets angered easily, has difficulty relaxing or letting things go, and is unreasonable, it is safe to guess that the liver Qi isn’t functioning properly. There are many methods of balancing liver Qi and returning proper energy flow throughout the body. Learning to stay calm and channel one’s anger appropriately is a good place to start. Practice some deep breathing, meditation, yoga or even take a walk. All of these things are great for balancing stagnant liver Qi. Acupuncture is another great way to balance the liver energies. 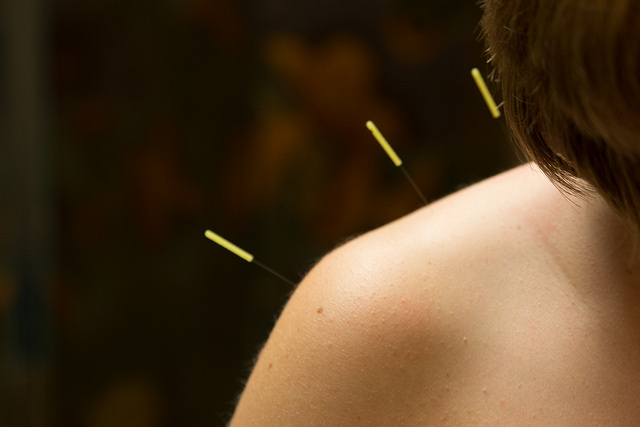 Regular acupuncture treatments help balance the body holistically and without any real side effects. During the spring, the liver is especially taxed due to the intense new energies that occur. This makes spring time a wonderful time to begin acupuncture treatments. Be sure to find a fully licensed and properly trained acupuncturist who can help guide you through balancing the energy of the liver meridian.